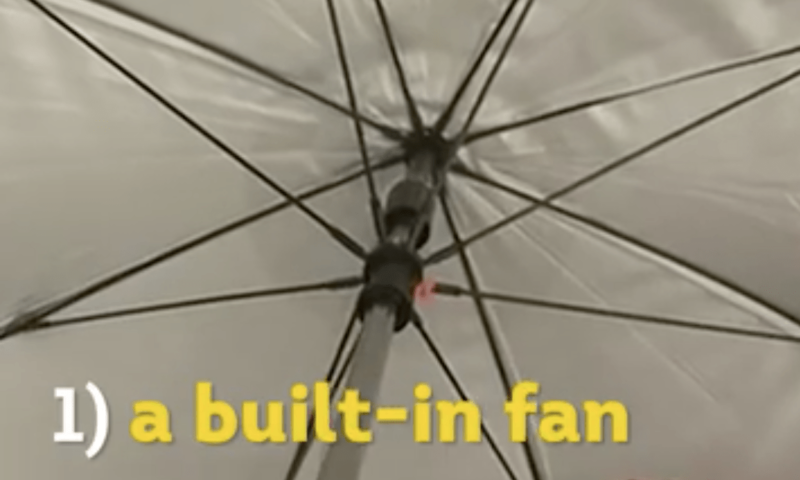 Kafya Solar Powered Umbrella — A Saudi-Palestinian company has created a solar-powered smart umbrella to help meet the demands of Muslim pilgrims whose numbers are expected to grow to 30 million annually by 2030 as envisaged in Saudi Vision 2030. 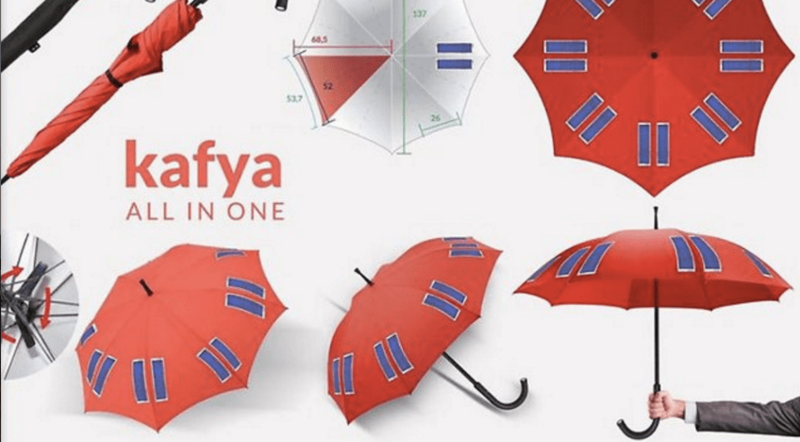 The Smart Umbrella is Called “Kafya”. Umbrella will collect those powerful rays and convert them into electricity through solar panels attached at the top. That electricity, which is stored in the handle, can be used to power the built-in flashlight, fan, and GPS system to help families find one another. It can also be used to charge phones and laptops via the three USB ports embedded at the bottom of the handle. Founders of the company (Knowledge Base International Holdings Limited) ,which aims to bring a qualitative change and cognitive development in the Arab world. We work on developing mobile apps, e-learning solution and publishing books since we are both writers. Kamel Badawi is Saudi Arabian scientist, researcher and environmental engineer. Manaal Al-Dandis is the Palestinian partner of this project with a PHD in Human Resource Management, who is also it’s CEO. “Umbrellas are always in demand especially in Europe. They are also being used in haj. However the pilgrims only use the umbrella as a form of protection from the sun. No one has considered the umbrella could be used for more than one purpose. When we started thinking about this, we found that we could install a built-in fan to keep the user cool. This is a great idea when you consider that the next twelve years will be extremely hot for pilgrims. Of course this claim concerning the extremely hot weather is based on a study we conducted. The built-in electric charger and GPS system are both powered by solar energy. This means we always have electricity to not only charge mobile-phones, but computers as well. 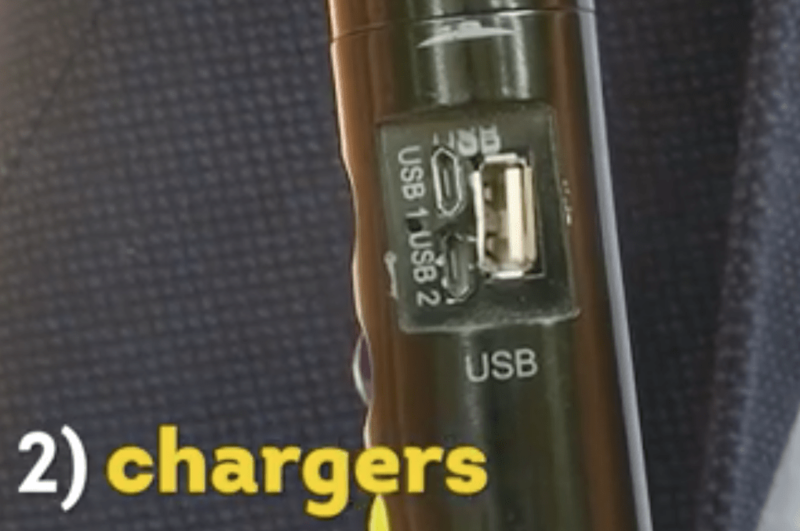 You can charge any device that can be connected via USB. 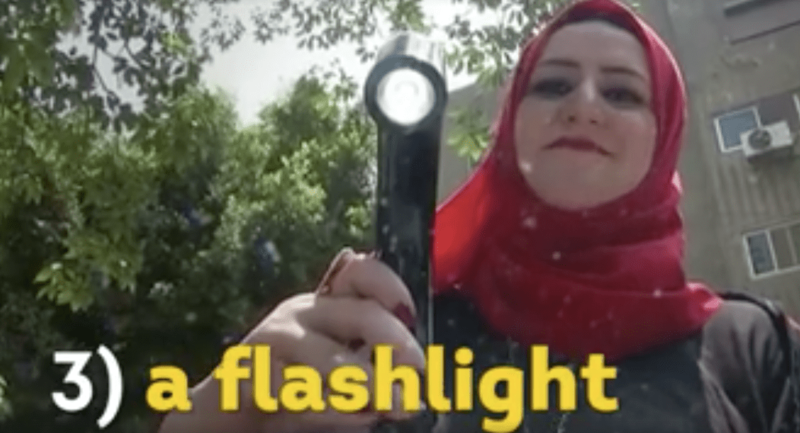 The GPS system will help families stay together by helping each individual who has an umbrella easily identify where he or she is,” Badawi told Reuters. The GPS system comes with a mobile application that you can download and the pilgrim can verify his/her umbrella on this application, in turn making it much easier for pilgrims to communicate with one another,” Dandis said. 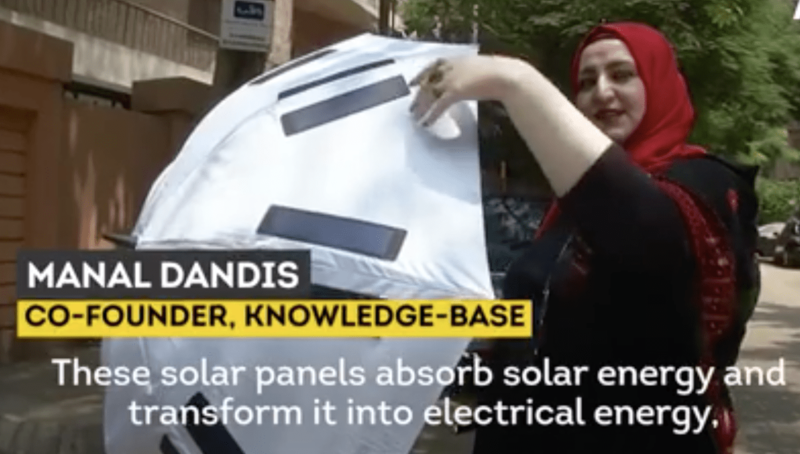 Since the idea was conceptualized last year, both Badawi and Dandis’ focus has been on designing a prototype for copyright purposes. “Getting the patent for the product was the first step. The second step was to start marketing it. Marketing needs special supervision, so we had to find a company capable of providing this supervision. In order for our product to spread worldwide, we have to avoid marketing it as an exclusive haj product,” Badawi said. Badawi and Dandis hope an international company or government body will invest in their product to begin mass production. They hope to make it available at an affordable price for anyone to buy.